This Day in the Historical Timeline of Bethel Burying Ground. According to the official Minutes of the Board of Trustees for Bethel Church, President, D.W. Parvis reported on behalf of the Real Estate Committee that the Bethel Burying Ground has been sold to the City of Philadelphia for $10,000 which is approximately $125,000 in 2019 currency. In addition, Mr. Parvis reported that board member Mr. Charles Jenkins met with the Trustees’ legal representative, Wendell P. Bowman, Esquire. Mr. Bowman was the Church’s representative in negotiating the sale price of Bethel Burying Ground with the City of Philadelphia. Mr. Bowman conveyed to Mr. Jenkins that he had “difficulties” in securing the high amount for the burial ground. Mr. Bowman’s fee for his services was $1,250 which is 12.5% of the $10,000. President Parvis stated to his fellow trustees that he would be willing to check with “other lawyers” to ascertain if the fee was excessive. Bethel Church pastor Cornelius T Shaffer was in attendance. The Minutes of the Bethel Trustees are available on microfilm at the Historical Society of Pennsylvania and the archives at Mother Bethel A.M.E. Church at 6th and Lombard Streets, Philadelphia, Pennsylvania. 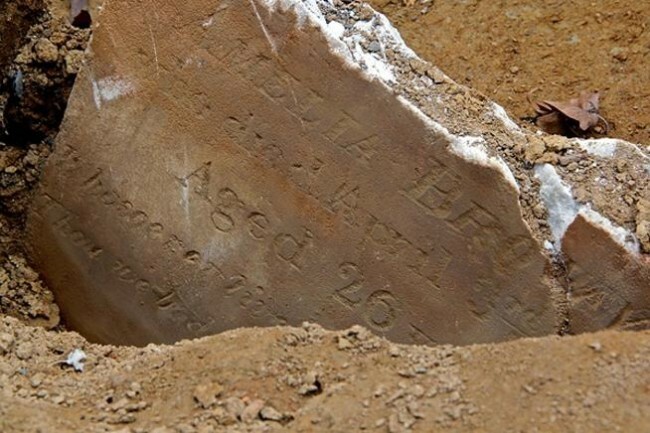 ← Sixty-five-year-old Flora Anderson died this date, January 31st, in 1844 and was buried at Bethel Burying Ground.